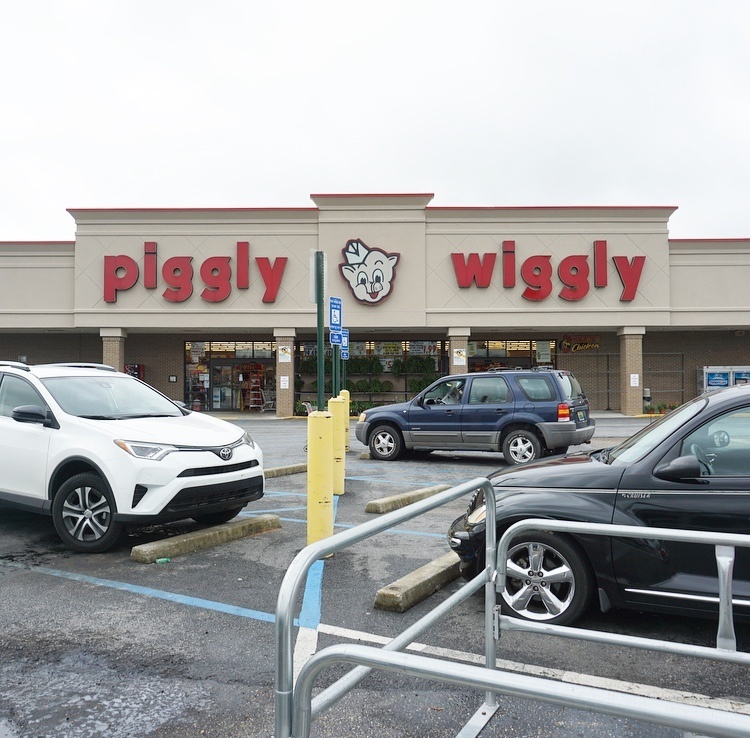 I recently went on a road trip where I drove to up to Eufaula, Alabama. I hung out with a good friend of mine named Tony. We explored a state park in Georgia called Providence Canyon. If you’ve never heard of it its basically Georgia’s “Little Grand Canyon”. We stayed at the Quality Inn in Eufaula, Alabama. Which was right next to the state line into Georgia. It was one of the few hotels that were in the area. This was my first time traveling out of state with Zena. I had no idea that hotels would accommodate large breed dogs. You know what that means, Zena and I are going on more road trips. This was my first time being in a small town and it was such a great experience. Everyone was so kind and polite. When I walked past someone they made eye contact with me and said hello. The shopkeepers were genuinely interested in where I was from, how my visit was going, and they were helpful in directing me around town. I’ve never felt so welcomed by complete strangers. 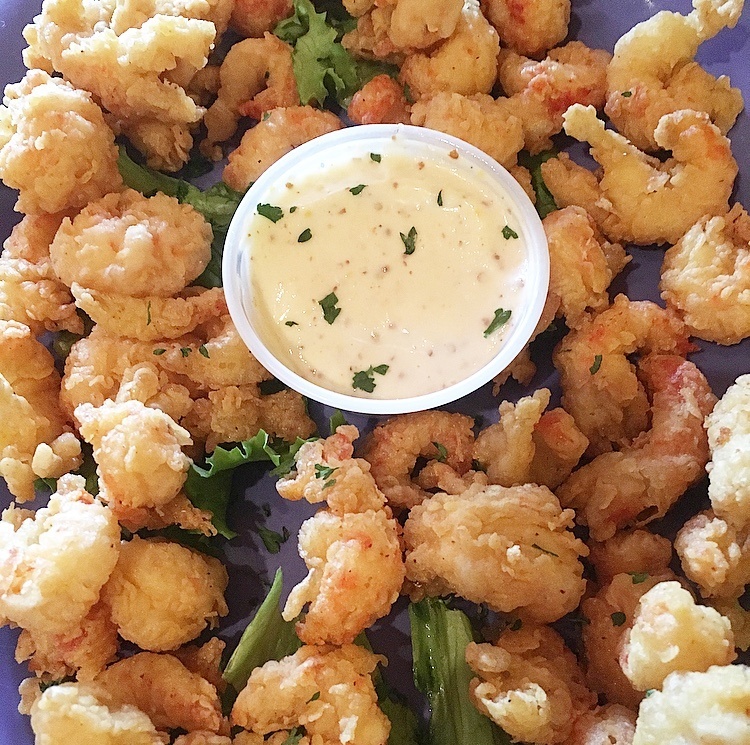 Eufaula may be a small town but there are more than enough places to choose from when dining out. The Cajun Corner was by far my favorite restaurant. Tony ordered Cajun Popcorn as an appetizer. They were crawfish tossed in the chefs own cajun blend. This was my first time having crawfish and they were delicious. It reminded me of popcorn shrimp. For dinner, I ordered a Grouper with sautéed vegetables and red beans and rice soup. This hit the spot after being on the road. They had these cocktails called Jazzy Drinks, I would recommend the Cajun Cool Aid. It’s very refreshing. The best part about going to a Mexican restaurant are the chips and salsa. I ordered a vegetable quesadilla which had a quesadilla mixed with vegetables and cheese served with rice and beans. The quesadilla was amazing. However, the serving of rice and beans literally took up half the plate. Needless to say I didn’t eat all of the rice and beans. For dessert, I had fried ice cream. It was served in a tortilla and had strawberry and chocolate syrup with whipped cream and a cherry on top. As I was talking to one of the locals I mentioned that I passed a place called “The Donut King”. Their eyes immediately lit up and they said that I had to go there. I stopped in the morning before I left and grabbed a glazed donut. As I was talking to the cashier I asked her what time did they get there, because they open at 5am. She said they go in at 2am and start baking. When I took that first bite into the glazed donut it literally melted in my mouth. It was so good. If you are looking for a personal shopping experience wrapped up in southern hospitality then look no further. This was the cutest boutique. They had a little bit of everything from unique gifts to stationery, home decor, and apparel. I bought a candle with a fragrance called “bless you’re heart”. It smells so good, I burn it right before bed and it fills my room with the scent. This store reminded me of Cracker Barrels old country store. It was an old fashioned general store. I got the impression that this was where everyone came to get their morning coffee. I met a lot of the locals as I was walking through the store. 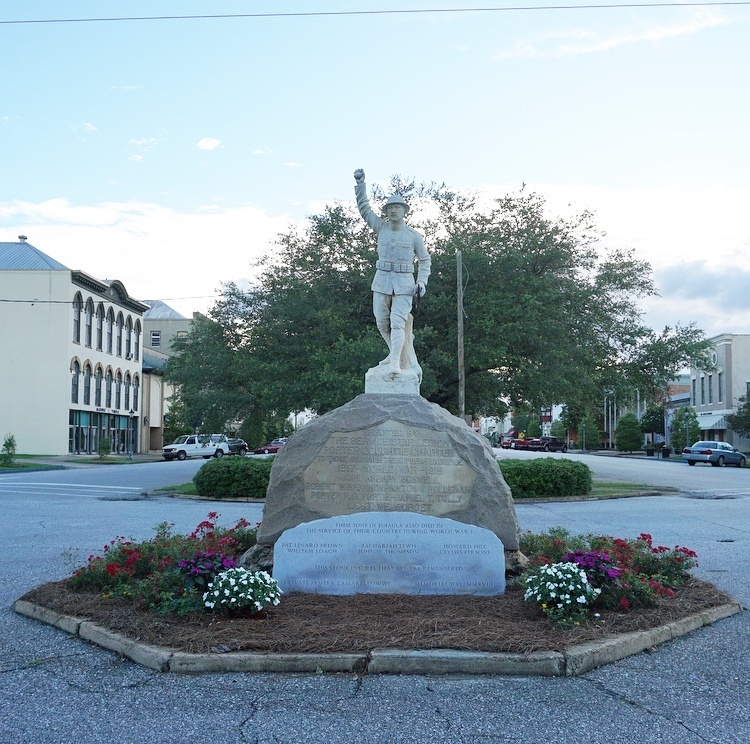 Eufaula has numerous memorials honoring different wars that the U.S. has been in. As I was walking around town I came across the WWI Monument. It was built in 1925 and has the names of fallen soldiers engraved on the monument. 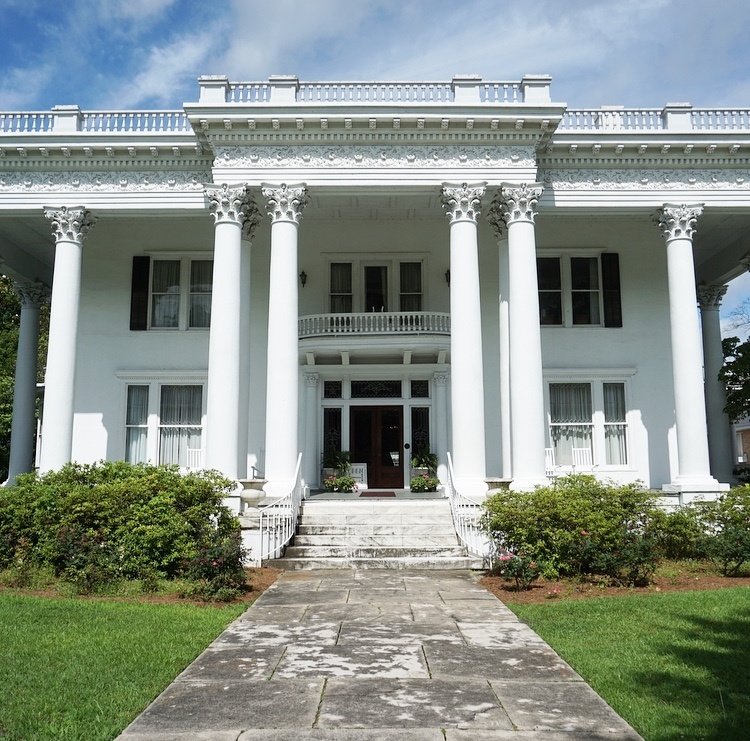 Before I left Eufaula, I toured Shorter Mansion. Which is Eufaulas most prominent architectural treasure. Shorter Mansion was built in 1884 and remodeled in 1906. It’s apart of the Seth Lore and Irwinton Historic District. 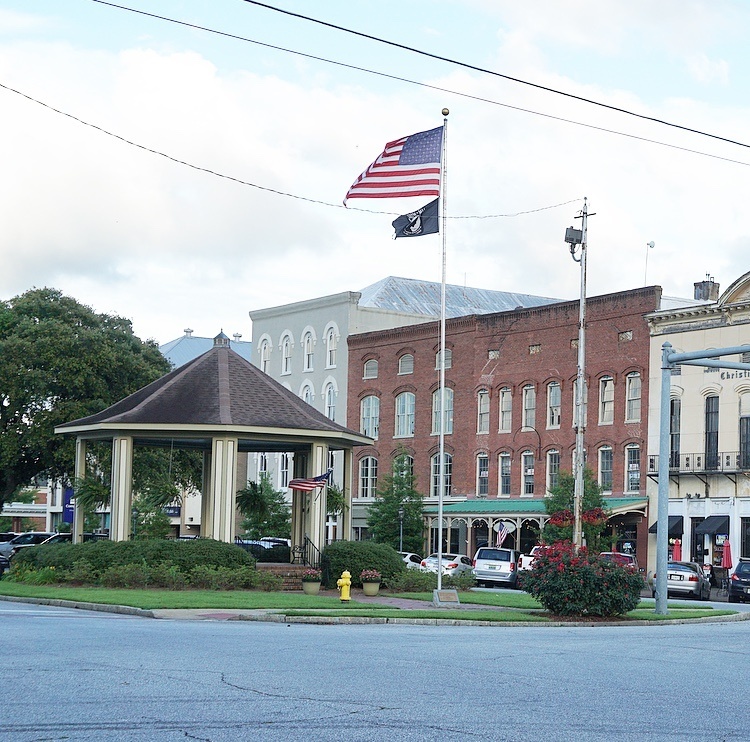 Which has over 700 structures listed on the National Register of Historic Places. It was furnished with antiques, artifacts, and heirlooms. It was also featured in the movie Sweet Home Alabama with Reese Witherspoon. I got a taste of that southern hospitality that I’ve heard so much about and it did not disappoint. I enjoyed my time in Eufaula, I hope to go back and visit again one day. I grew up in Eufaula. It was a wonderful and safe place to grow up in.